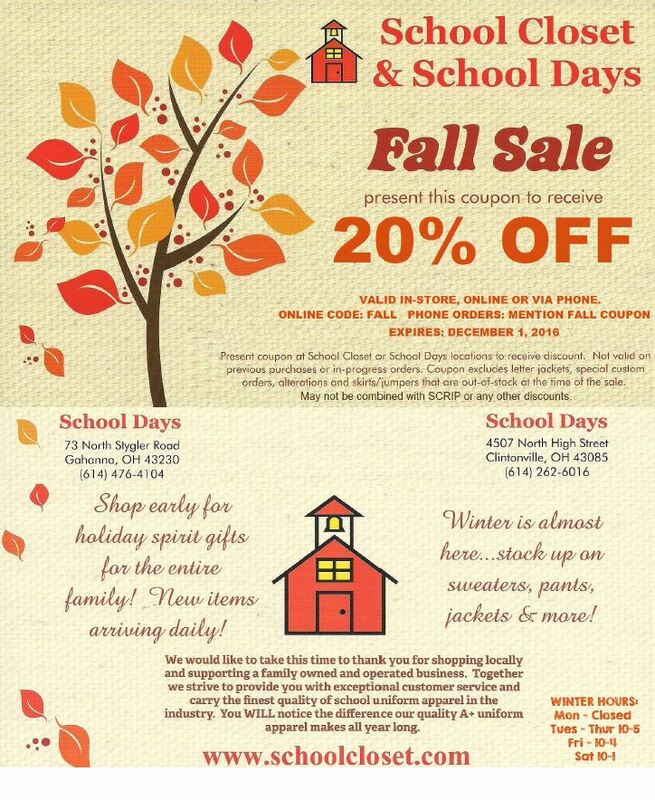 Take advantage of the great FALL savings with this 20% off coupon on School Days uniforms. 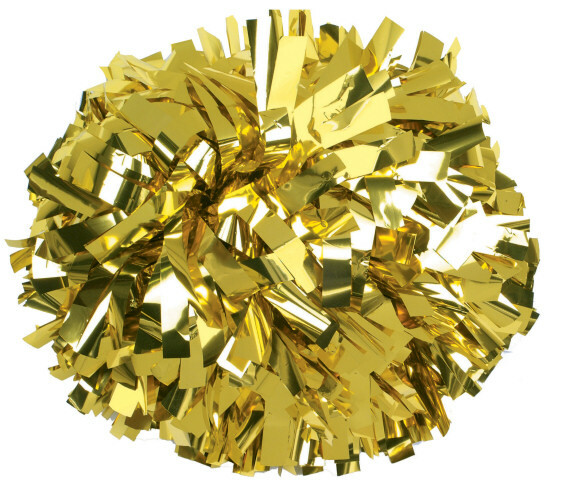 Basketball Cheer try-outs for Grades 9-12 will be held at Newark Catholic HS on Saturday, October 29 from 9:00-11:30 am. Girls should arrive by 8:30 am. The final cheer clinic for girls interested in trying out will be held on Tuesday, October 25 from 6:00-7:00pm. Attendance is mandatory to learn the material you will be judged on at the try-out. All 8th graders in the Licking and Knox County Vicariate are welcome to attend Prospective Student Day at Newark Catholic! Wednesday, November 9th from 9:15 a.m. until 1:15 p.m.
An Information Session for parents will also be held that evening from 6:00 – 7:30 PM. 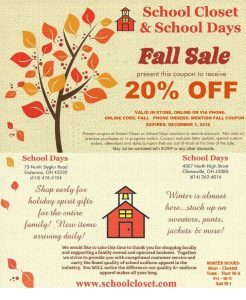 Contact the school office at 740-344-3594 for more details. Please see the October 2016 Newsletter here. 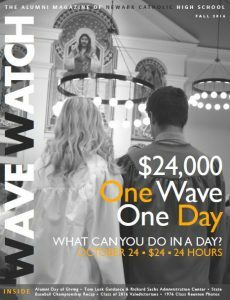 Help us reach $24,000 in 24 hours with your $24 Donation! Every day, year after year, we are inspired by the young men and women who walk through our doors. 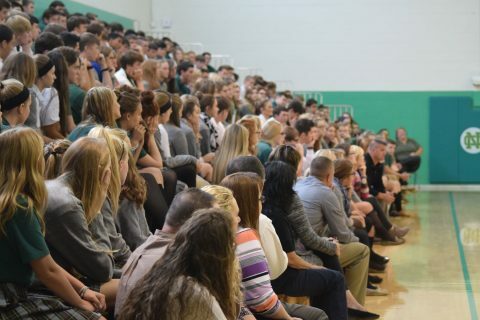 The promise and the potential we see in them call us all to make Newark Catholic High School the best it can be. Whether NC students are writing and performing their annual play or seniors are participating in early morning meetings for Kairos, they are doing what NC students do each day – transforming from inquisitive thinkers to insightful doers. As the actual cost to educate our students continues to rise, we work hard to keep tuition affordable, while providing the very best academic programs. And with your help we can ensure the excellence, longevity and transformative power of a Newark Catholic education. Your $24 annual gift will help make all of this possible. Please use the form on the back page or visit www.newarkcatholic.org/24 to make your pledge. You can pledge directly from your smartphone at anytime on or before October 24. Click here to learn more and make your donation! 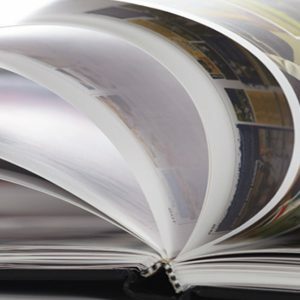 There’s nothing else like your school yearbook! Get your hands on the limited edition collection of our stories for this year (2016-2017). Share it with your friends today and hang on to it for years to come! Order your yearbook now by clicking this link.